Tag Archive | "Cedar Springs American Legion Auxiliary"
Nancy J. See age 76 of Rockford, died Saturday, February 24, 2018 at her home. Nancy was born July 3, 1941 in Grand Rapids, Michigan the daughter of Earl and Jessie (Irwin) Tyler. She was a member of the 40 et 8 and the Cedar Springs American Legion Auxiliary where she ran the bingo for 20 years. She had a great sense of humor and loved living on the lake. 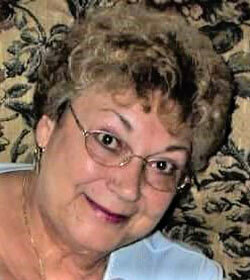 She was a former Sunday School Teacher and loved Jesus, her family and her friends. Nancy was always there to help others and anyone in need. Surviving are her husband, James; children, Debi (Garrett) Hanson, Dawn (Edward) Smith, David Smith, Patrick (Kathy) See, Gerald See, Eric See; grandchildren, Nicole Miller, Jessica Krueger, Breanna Smith, Brayden Smith, Christa See, Kristen See, James See; 9 great-grandchildren; sister, Delores (George) Peterson; special cousin, June Force. She was preceded in death by her parents, grandchildren, Brendan Smith and Katie Grace Smith; sisters, Earlene Hinzman and Jackie Pena. The family will greet friends Thursday from 2-4 and 6-8 pm at the Bliss-Witters & Pike Funeral Home, Cedar Springs where the service will be held Friday 11:00 am. Interment Elmwood Cemetery, Cedar Springs. Memorial contributions may be made to the Cedar Springs American Legion Auxiliary.